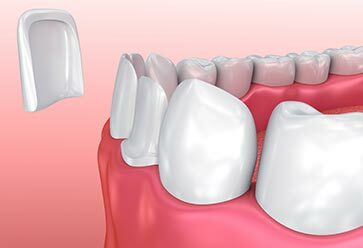 Dental veneers can assist you with attaining a confident, beaming smile, while protecting your natural teeth. Our custom-made veneers are placed in front of any teeth that are worn, discoloured or damaged, helping you obtain the look you’ve always wanted to have. Our dentists work in accordance with your aesthetic preferences, providing personalised, professional service.